Llanllwni is located 12 miles north of Carmarthen and 10 miles south of Lampeter. It is a rural village with the parish extending to 2 miles with 600 homes. The River Teifi flows through the village and is the local authority boundary between Carmarthenshire and Ceredigion. In addition to the primary school and Cylch Meithrin there is a wealth of clubs and societies in existence including the Clwb Gwawr, YFC Llanllwni, Mothers Union, Senior Citizens and the Playing Field Association. A varied programme of activities is arranged locally that enriches the life of the local community. The majority of these activities occur at Llanllwni Church Community Hall. 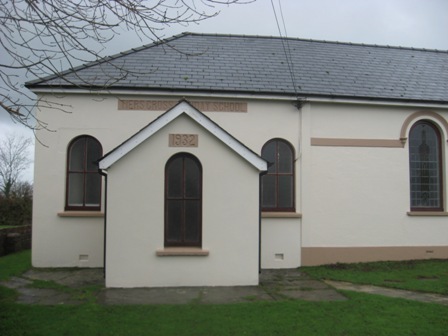 Llanllwni Church Community Hall has been recently renovated and includes appropriate access and facilities for disabled people. There are splendid views to be seen from the hall over the Teifi Valley making the place a relaxing venue for a range of meetings and training. The hall is equipped with a multi media projector, a sound system, DVD player and a laptop. The hall accommodates suitable kitchen facilities. In the New Year an internet connection and a phone line will be installed. The hall is heated by convector heaters that quickly heat up the hall. There is an installed water heater that heats up to 80 cups of hot water within 20 minutes. There is parking space for 50 cars.